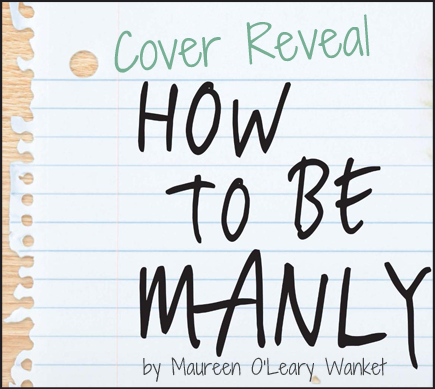 We're excited to be among the first to see, and to share, the brand new book How to Be Manly by Maureen O'Leary Wanket coming September 2014 from Giant Squid Books. How to Be Manly is a Young Adult Contemporary novel. The cover art is by Jillian Blazek at JillianBlazek.com. "When you start this program, your whole life will change." When Fatty Matty Sullivan finds a self-help book by former football great Tad Manly at a yard sale, he secretly starts following the old pro’s advice to turn himself into the kind of guy super hot Cassie Bale will love. But between taking care of his grandfather, trying to pass remedial Algebra, and getting caught up in his friend Jester’s half-bakedweed-dealing schemes, Matt’s summer isn’t quite the game-changer he’d planned. And when on top of it all his dad moves back in with his own plans to get rich quick, Matt suddenly has much bigger things to worry about. It turns out that there might be more to being manly than he thought.With the humor and insight of YA favorites Judy Blume and Louis Sachar Maureen O’Leary Wanket’s debut is a sharp, comic novel about trying to do the right thing...even when you’re not sure what that is. 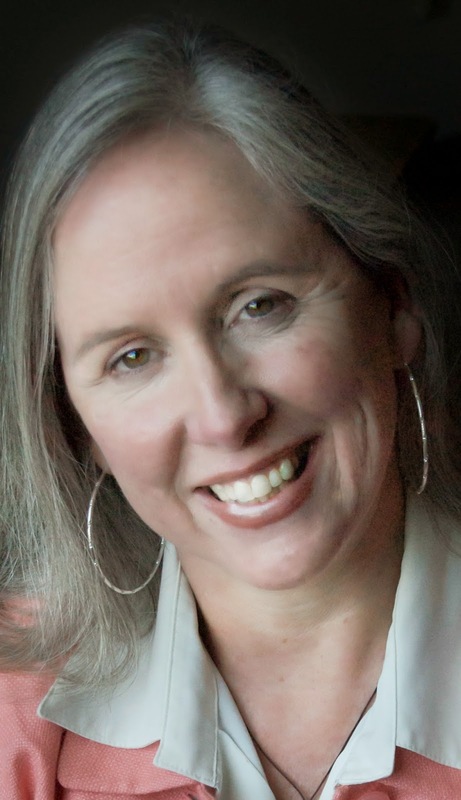 Maureen O’Leary Wanket is a writer and teacher living in Sacramento, California with her husband and two daughters. How To Be Manly is inspired by the humor and courage of the students she’s met in her classrooms over the past twenty years. Maureen's short stories have appeared in Esopus, Xenith,Fiction at Work, Blood and Thunder, Musings on the Art of Medicine and Prick of the Spindle. How To Be Manly is her first novel. Follow her on Twitter @maureenow. Giveaway courtesy of Giant Squid Books. The cover of How to Be Manly shows snippets of Matt Sullivan's story: donuts, his favorite food; grass stains from long days on the football field; a stack of cash. In a series of cover-reveal posts, author Maureen O'Leary Wanket talks about the importance of each of these things to Matt's story. In How to Be Manly, fifteen year-old Matty Sullivan loves nothing more than eating his grandmother’s cooking and playing video games with his friends. It isn’t until he suffers a stinging rejection from the girl he has a crush on that he decides to get in shape...with the help of a corny book at a garage sale. I happened upon the seed for the weight loss aspect of this novel one day when I was dropping my daughter off at a school event. In the parking lot I saw the mother of one of my kid’s classmates offering her obese son a box of donuts. I knew enough of their story to know that his dad wasn’t around and that they had a hard time of it. I saw between them a tender moment of joy they were having around these donuts, absolutely not caring who saw them or what people thought. They reminded me of how comforting food can be when the rest of the world is harsh and unloving. Giving that up is hard for Matt, but he does it because he sets his mind to it. Something I can tell you from twenty years in the classroom is that once a young person makes an internal decision to do something, that thing gets done. Kids can be very single minded about goals that are important to them. I’m inspired by my students in this way every day. How to Be Manly is a novel for anyone who has ever found comfort in a perfect slice of red velvet cake. It's about you if you’ve ever given up what comforts you, only to learn that you were stronger than you ever thought you could be. At dinner I said no to Grandma’s mashed potatoes. She didn’t say anything about it until I said no to dessert. She held the cake knife up and looked at me as if I had lost my mind and said goddamn. Grandpa had no reaction. He nodded over his own slice of chocolate fudge with rainbow sprinkles like the cake had asked him a question. I wished she wouldn’t fight me on saying no to cake. I was still hungry after only eating chicken and salad but Tad Manly’s directions on diet were pretty simple. Say no to desserts. Most of your meal should be meat and vegetables with whole grains like brown rice. This is the kind of food that will give you the Manly body you’re working for. If Grandma was going to start fighting me about eating stuff I had a hard time saying no to in the first place, this was going to be a hard road. This one looks pretty good!